Apple's anticipated "iPad mini" is forecast to have a cannibalization rate of 20 percent, which would mean every five smaller iPads sold would take the place of one full-size 9.7-inch iPad. Assuming Apple's 7.85-inch iPad goes on sale Friday, Nov. 2, analyst Gene Munster with Piper Jaffray sees the company selling at least 5 million units in the December quarter. That would be enough to cannibalize a million regular iPad units during the holiday shopping season, he believes. Munster had previously forecast sales of 21 million iPads in the December quarter. But with the expected launch of the so-called iPad mini at Apple's event next week, he has increased total iPad sales to 25 million. 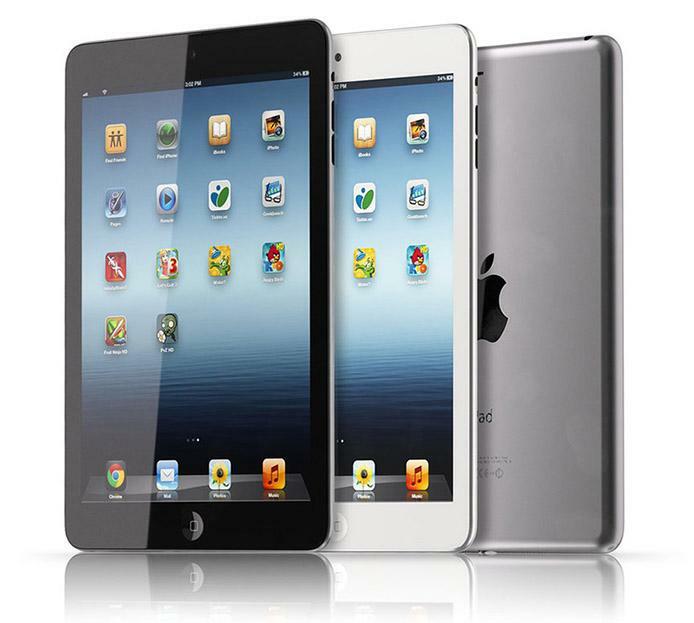 For calendar year 2013, Munster's iPad sales estimate has increased from 86.5 million to 95 million, accounting for additional sales from the iPad mini. He sees smaller iPads accounting for about a quarter of Apple's total iPad sales next year. But because the smaller iPad is expected to be offered at a significantly lower price point than the traditional iPad, Munster's forecast also calls for the average iPad selling price to drop in calendar 2013 from $527 to $495. He believes that the iPad mini will likely be priced at between $249 and $299 for the entry level model. For that price, he sees Apple offering 8 gigabytes of storage and a non-Retina display. He thinks a fair amount of customers would opt for greater capacity with an iPad mini, which is why he sees an average selling price for the new, smaller iPad of between $350 and $360. That would be about a 20 percent increase from an assumed base price of $299, a number in-line with current iPad sales figures. Munster's earlier forecasts had assumed that Apple would not offer a "full slate of options for storage and wireless" with the new, smaller iPad. But he cited a report published by AppleInsider on Tuesday that revealed a slew of new iPad models Apple is set to unveil next week that suggest the iPad mini will be available in a range of capacities and colors with various connectivity options, including cellular data.